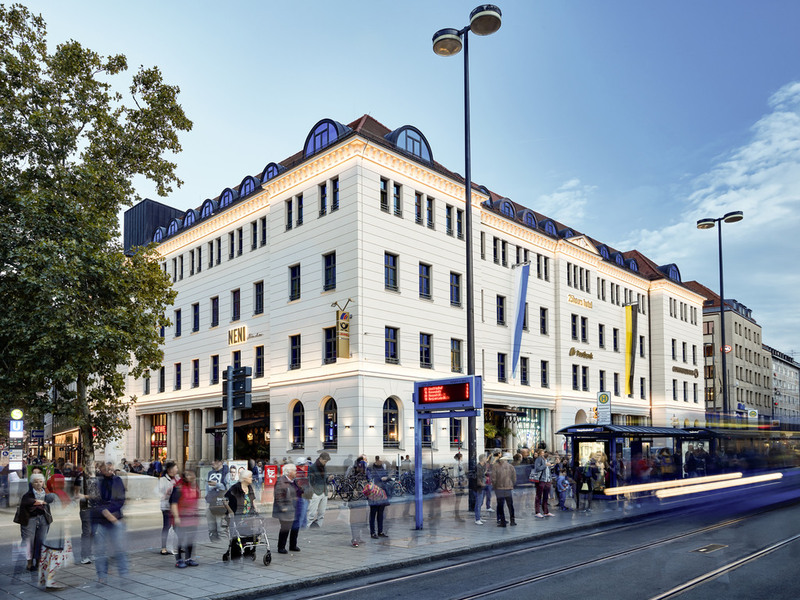 In the magnificent building of Bahnhofplatz 1, the 25hours Hotel The Royal Bavarian has found its place in Munich. A building with its own rich history: in the last century, it still served as a building for the postal service and a royal telegraph station. Today, it is a meeting point for city explorers. Exactly where Munich is at its most raw, urban and vibrant - at the heart of the city. 165 rooms await the guests. At the heart is the eatery NENI, the NENI Deli and the Boilerman Bar. 165 rooms in five different categories await the guests - from the Box Room until the Peacock Suite. They are cosy sanctuaries inspired by different worlds. All rooms include free high-speed WIFI and UE Boom Bluetooth speaker. At NENI the dishes are served directly in pots or placed on the table in a piece of parchment. That way everyone is invited to sample them. An eclectic brand of oriental cuisine, coupled with regional influences, is served. The home-made burgers are made from 100 percent Black Angus beef. They are served between a soft burger bun. The Veggie Burger and a variety of unusual French fry combinations offer more than enough for friends of a vegetarian lifestyle. The Boilerman Bar is like a neighbourhood speakeasy, open to hotel guests and locals alike. The undisputed champions of the drinks menu at the Boilerman Bar are highballs - precisely mixed short drinks that are stirred and not shaken.